Please contact us if you would like any more information or advice about any of the therapies or classes we provide. Reception is open weekdays between 8am and 7.30pm and Saturdays between 8.30am and 1pm. Our team of receptionists is here to help. If you are not sure if a therapy or class will suit you please contact reception who will arrange for you to speak to the appropriate practitioner to answer your queries. 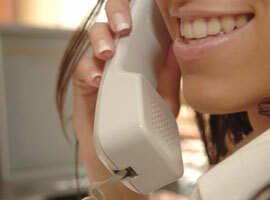 An answerphone message may be left when reception is closed and we will return your call as soon as possible. Or alternatively email us with your queries. The clinic is situated approximately half a mile from Twickenham Rugby Stadium, on Hounslow Road, Whitton. Free car parking is available in the Baptist Church car park, located directly behind the clinic. South West Trains provide services to both Whitton and Hounslow National Rail (over ground) Stations. Both stations are within walking distance of the clinic.